Yesterday my wife wanted to celebrate our Anniversary by taking her to the Grassy Knoll in downtown Dallas to see the place in 1963 where JFK was assassinated (she is a history and political science major.). 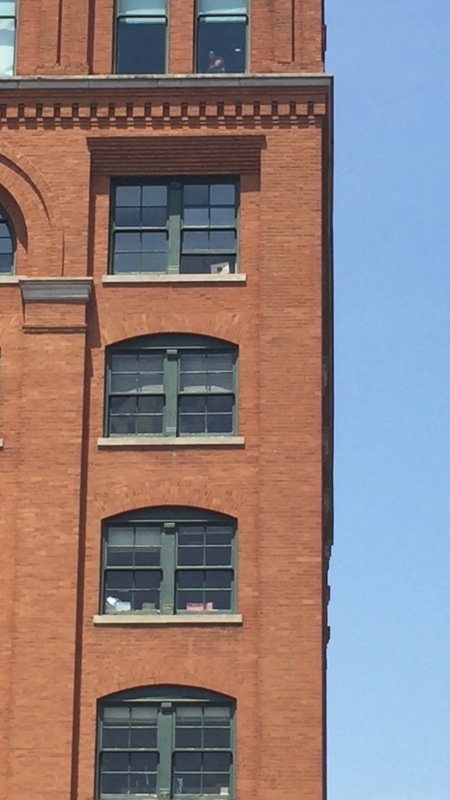 The picture at the bottom of this blog is the window on the Book Conseratory where Oswalt shot the President. It is the window that is half open and a picture of gun is in the window. The second from the top. I stood on Elm Street in the middle lane looking up at this window. This is the very place JFK was traveling in the Limousine. My thoughts were in my stomach as I wondered why and how this was accomplished. As I think of this Shabbat, the 9th day of AV in the Biblical Calendar which is the day The Temple was destroyed along with the Ark of the Covenant and all that was known to Israel in that day. This day is a day of Fasting. It is the lowest day of the Biblical Calendar. The Temple was the place where God met with man. It was a place where all prayers and intercession was made. It is said that all prayers of people go to Jerusalem at the Temple sight, then from their reach heaven. The remaining ruins is the Western Wall where people go to pray and intercede. 1312 BC Moses accepted the Slanderous Report of the 10 Spies and wandered for 40 years, one generation. 423 BC the Babylonians Destroyed First Temple, 133 BC the Romans Destroyed the Second Temple and brutally butchered the Jesiwsh people. They were in shock that the Romans had destroyed the Temple again on the same day as the First Temple. 1290 The Jews were expelled from England. 1492 the Jews were given four months to leave Spain. On this date no Jew was aloud any longer to remain in the land. 1914 World War I Germany declared war on Russia killing Jewish people and thousands of them being dispersed. 1942 Germany began the mass deportation Jewish people from the Warsaw Ghettos. 2005 Soldiers remove Jewish people from Gaza, dragging them into buses. 1. Even thought the Temple was destroyed, God has raised it up, not made by human hands but through Yeshua Meshiach. 2. We are now the temple. The same evil that destroyed the Temple twice is wanting to destroy you, the temple of God. 3. On this day the 10 spies gave a bad report because they saw with human eyes and not eyes of faith. 5. Pray that Israel and the Jewish people eyes would be open to the revelation of Yeshua Meshiach. 6. Pray the protection over Israel and the Jewish People in all the world. 7. Give thanks and God to cleanse you, His Temple to make it a house of prayer.